Beware of Storm Chasers | Weatherguard, Inc.
Spring is finally here! The snow has melted, the grass is turning green, and storms are a regular part of the forecasts. Spring storms can bring rain, strong winds, and potentially damage to property. Add this to the fact that many homeowners and businesses are already dealing with damage from the recent flooding and winter storms. After a storm hits, homeowners are typically anxious to file insurance claims, gather estimates and begin the restoration process so we can all get back to “normal”. 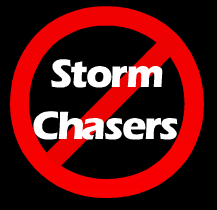 We have said this before – but it bears repeating – beware of storm chasers! When storms hit an area, the storm chasers are never far behind. These scammers will arrive from out-of-town to an area that has been recently hit with a significant storm. They perform the bare minimum work – often using cheaper materials and ignoring other potential problems. This can lead to problems down the road because the roof typically won’t last as long as it should, yet the storm chaser has moved on to the latest area impacted by weather and is no longer available to make any repairs. Do your research. Ask for license and insurance, and make sure the company is an established, local company with an office in town. Be leery of a door-to-door salesman. They canvas a neighborhood that was recently hit by a storm. The scammer will offer a free inspection and they may fabricate damage or produce a picture of damage that isn’t on your property. Don’t be pressured by a high-pressure salesman. If it sounds too good to be true, it probably is. Some contractors will bid the job much lower than everyone else, only to add more costs after the job has started. Material costs should never rise after the job has started. Don’t sign any paperwork with a contractor before your insurance adjustor has inspected the damage first. Always ask for an estimate that includes the total cost of labor and materials. If a contractor doesn’t want to give you an estimate before the insurance adjustor assesses the damage, they are likely trying to scam you. If your property is damaged, don’t just trust anyone. Choose a local company with a solid reputation.